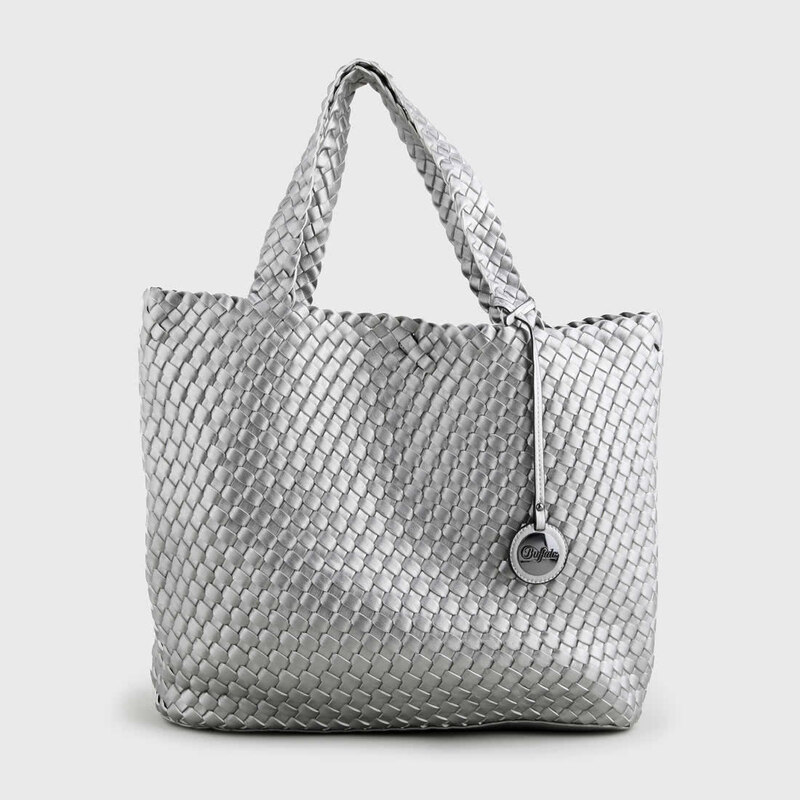 This 2 in 1 Shopper strikes the perfect balance between style and practicality. 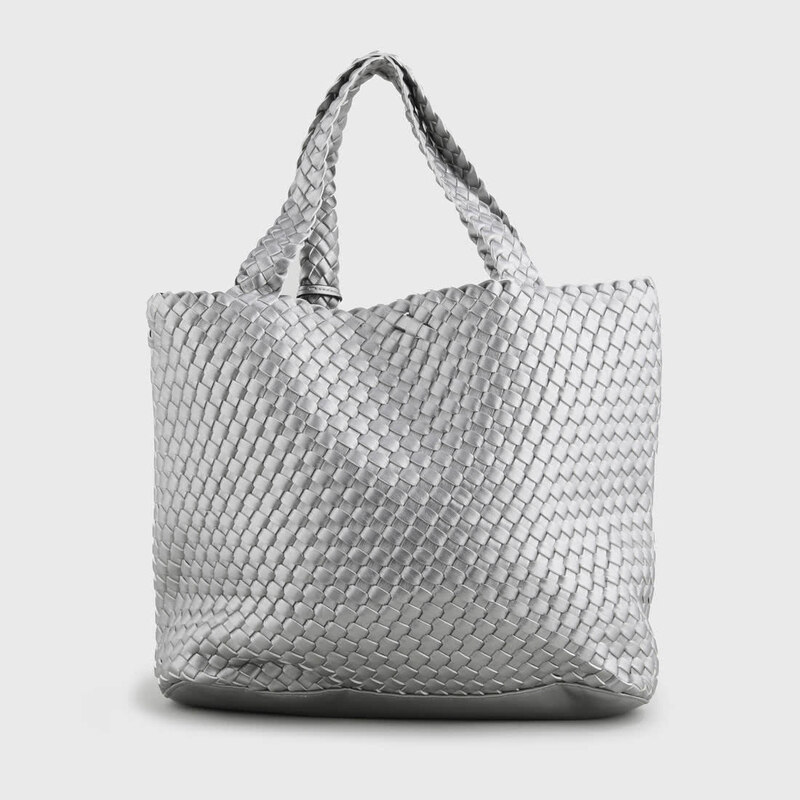 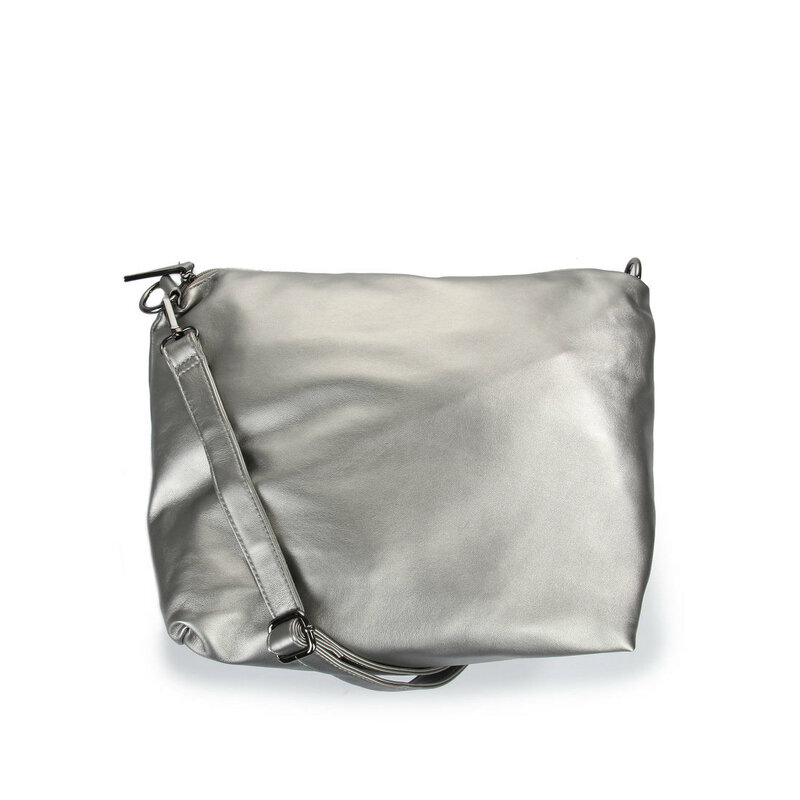 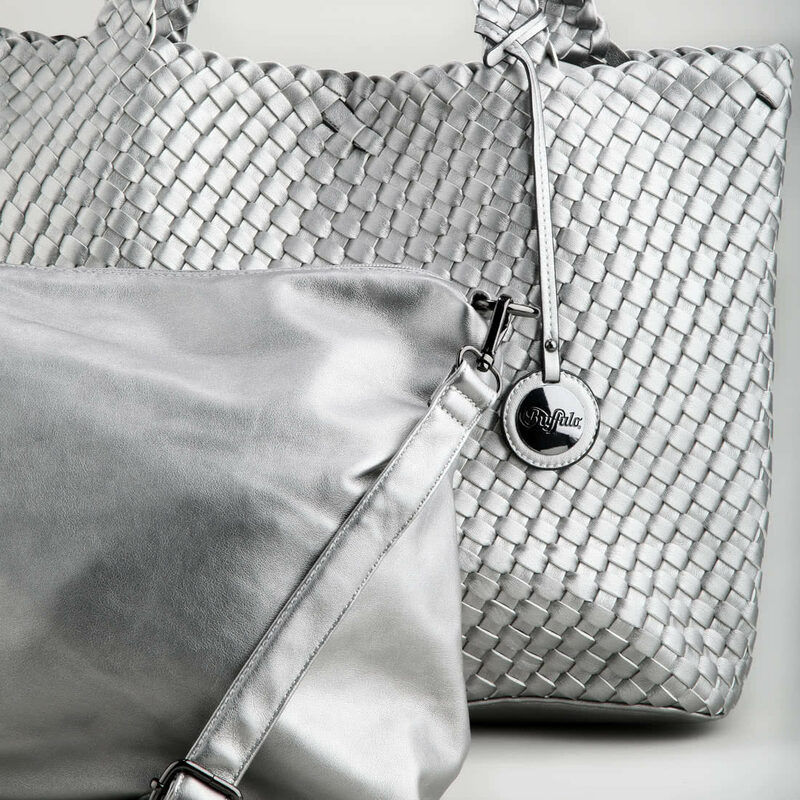 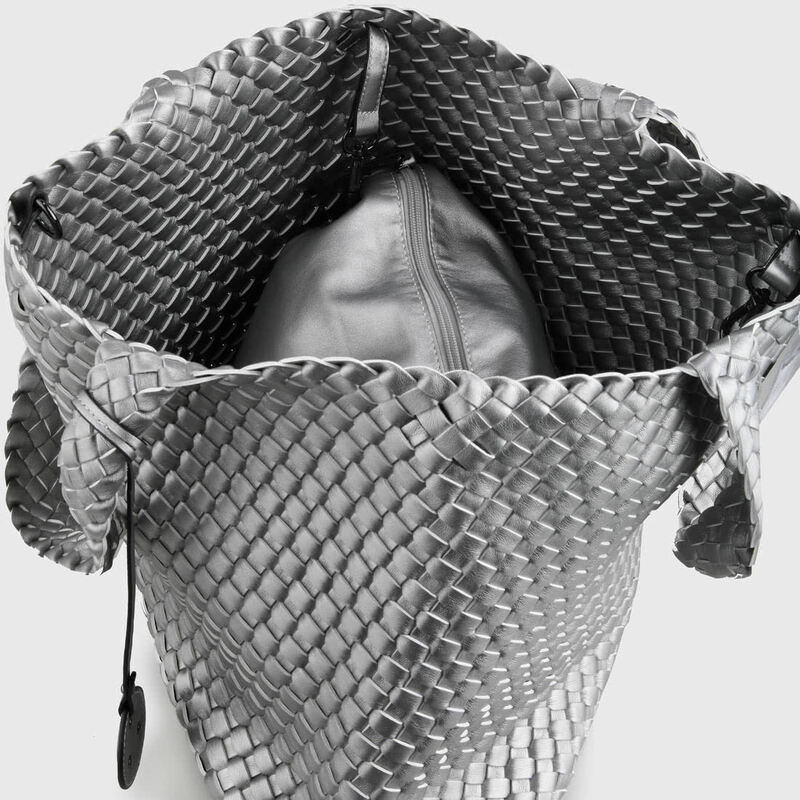 It is made in a braided leather look in metallic silver and equipped with double shoulder handles, a detachable shoulder strap and a classic lobster clasp. 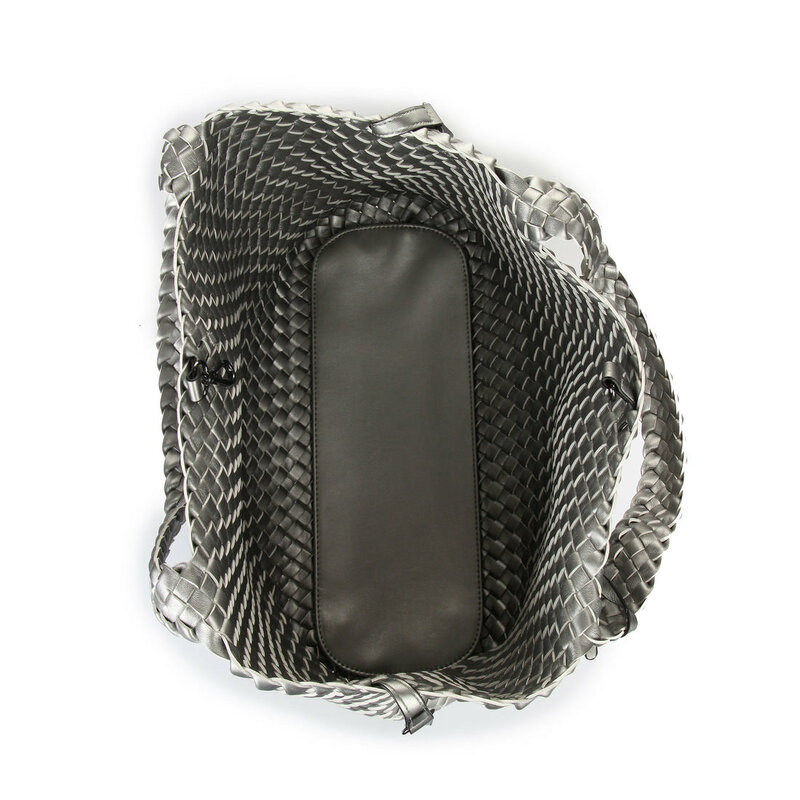 A nice extra of this bag is the removable inside pocket, which can also be used as a toiletry bag or small case on trips.